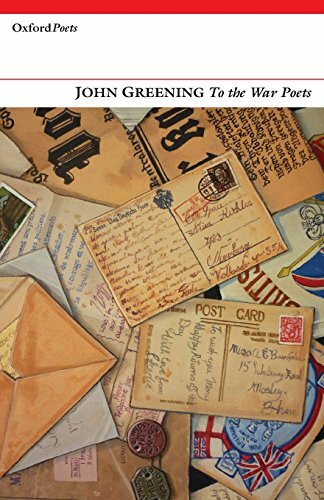 In a sequence of verse letters, John Greening sends dispatches across the decades, looking back over the century since the outbreak of the First World War. He addresses the war poets directly, making connections yet always aware of distance, and explores “Englishness,” but also—in his translations from Heym, Trakl, Stadler, and Stramm—provides an alternative perspective. From the discovery of the Sutton Hoo burial just before the start of the Second World War to the security forces’ shut-down of Heathrow airport in 2006, the presence or threat of conflict underlies Greening’s precise, unsentimental address on the centenary of the Great War. John Greening has reviewed for the Times Literary Supplement since the 1990s and has published 12 poetry collections, as well as critical works such as Poetry Masterclass and studies of the First World War Poets, Yeats, Hardy, and Edward Thomas. He is the recipient of the Alexandria Poetry Prize and the Bridport Prize.